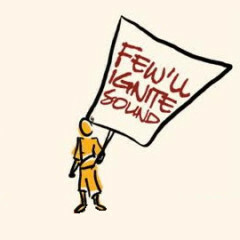 Sunday, December 1st, 2013, Final Thought: Sparks from Few’ll Ignite Sound. This fall, I finally started my Masters Degree through an online program at The City University of Hong Kong. This MFA for Creative Writing is the only one of its kind in the world because it focuses on writings about Asia in English. In October, I attended an in-person session called a “residency.” Required once a year, they give students a chance to meet each other, meet the faculty, and to accomplish intensive writing in a space devoted to its craft alongside professionally published authors as mentors. As many of you know, I’ve been developing my “other” love of prose writing in these past few years (other to music, of course). I hope to come out the other end of this program with a publishable manuscript for a longer project. Yes, a book is the goal! The following is a piece written after the October session. All students in the workshop were asked to write a piece on “WHY I WRITE”. The topic was not the point; it was about finding words that discover, mine the self, reveal, connect with the reader, etc. These sessions taught me how much work good writing really is… and how much more I have to learn. I’m on my way. Enjoy! It’s not to get it out; it’s to get it in. Hold it there. Like tree rings mark time, I wrap stories around my insides. 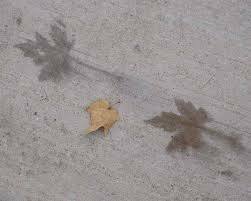 There are outlines of long blown-away leaves on the sidewalk in late fall. Nature’s spray-painted leaf shadows. Outlines can be on the inside if I am the agent in their preservation. I trust in this. Tree rings and leaves mark time; pens mark the page. How can we rely on our memories when they alter everything we recall? And then still trick us into believing? At night, she wakes and calls for me to go “pee pee.” I go and lift her out of her crib, remove her dry diaper. It’s for precaution, but she knows–she knows more than we can measure. I lift her up again and head for the toilet. Her head slings itself over my shoulder, still sleeping, her bare toddler bottom jutting out as the top line of the Z-shape of her body, my forearm supporting her weight at the back of her thighs, knees making the next zig in the zag as they find the crevice between my breasts and globe of a belly. Her little shins and feet, the final tail to her letterform. She is perched atop her baby brother who is not yet on the outside, and I must remember this image that flashes in my periphery from the bathroom mirror. It must stay in the ring of this year, marking us all down, and in. The letters colliding into sentences last longer than this feeling of mothering one and gestating another. Much longer than the advancing Canadian winter chill slicing into the gap between my jacket and scarf. 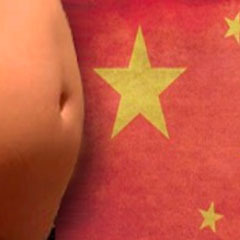 By springtime, ringing in a new year back in China, there will be a smaller child on the outside, the chill long gone from the wind. Both small beings will know more than we can measure. Time, as always, will pass too quickly. Springtime sidewalks hold the ghosts of autumn leaves. I don’t think of it as a question: “Why I write?” Instead, I hear it as an obvious observation, “Why, I write.” Like unconsciously listening for the steady breathing of my loved ones at night. I must.